Save and open mind maps anywhere on your computer. Save mind map files in any directory. 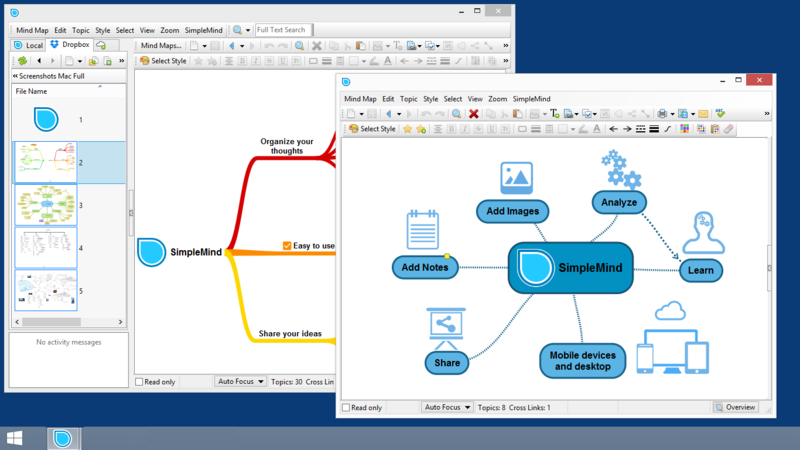 Mind maps opened via Windows Explorer or “Open” are shown in the Files tab. Mind Maps on Files tab behave like in a cloud, links are stored relative to mind map file. Bold, Italic, Underline, Strike-through, Superscript and Subscript. Windows edition: Wysiwyg rich text is not displayed in topics and labels. Style sheet selector in inspector. The size of the preview thumbnail is adjustable. Checkboxes: Reset state – checkboxes are unchecked, progress bars are set to 0. 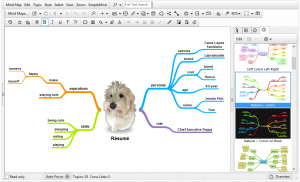 Extract Images from Mind Maps: reduces mind map file size, via menu Topic | Image. 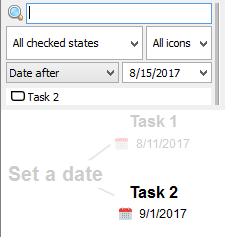 External directories allow sorting on name or sort on date (like previously) via context menu. New mind map for Cloud asks for file name rather than using “New Mind Map”. Improved display in internal Image Preview. Bug fixed: export as web site would not insert back links between linked mind maps. Export as Website: creates a zip archive with html pages containing clickable elements for notes, full size images and links. Includes linked mind maps. Click to see an example. Default style fonts for Chinese + Korean changed. Fixes pdf export problems. Version 1.20.2 – released 14 March 2018: (H)DPI aware, bug fixes. Translated into 11 languages: Dutch, French, German, Italian, Japanese, Korean, Portuguese, Russian and Spanish, Simplified Chinese and Traditional Chinese. Change language in Preferences | General | User Interface Language. Breadcrumb bar in External Directory Explorers (Dropbox etc) for quick navigation between folders. Order Up (Ctrl+PageUp) reconnects the selected topic to its parent parent (grand-parent). Bug fixed: Local Mind Maps “Empty trash” could result in random errors. Drag drop images and text from other apps is much improved. 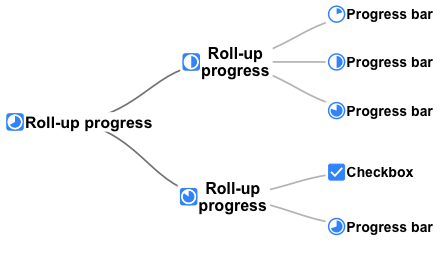 drop images from the (Chrome) browser on the mind map editor. drop an image on a topic to add as a floating image, an embedded image or an icon. drop text from other apps to add a child or central theme. Natural file name sorting in explorers. Mind Map Editor search bar (in advanced mode) allows searching for topics with a date before or after a certain date. Optionally disable markdown based text filtering in Preferences | General. Choose .png quality from normal to extra high. Bug fixed: in some cases text could be painted outside the topic’s box. New Flat Stock Icons, existing icons available on “Classic” tab. Rectangular lasso select topics: Ctrl+Drag selects, Shift+Ctrl+Drag extends selection. Auto scroll support for node well, moving elements and lasso selection. The Windows edition is currently not capable of displaying Rich Text as used on other platforms. 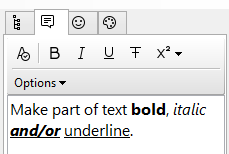 The Windows edition instead displays the text by filtering out the markdown characters: “*bold*” is displayed as “bold” (** filtered out). Support for CMYK jpeg images. Improved handling of saving with cloud sync apps that lock mind map files while uploading. Outliner – in the Inspector panel on the right, depicted in the image below. The Outliner synchronizes with the selection in the editor. Particularly useful when Searching in the Mind Map. Use drag & drop in the outline to reorder topics. Keyboard shortcuts for Show Outline Ctrl+1, Show Note Ctrl+2 allow fast switching between topics in outline and note. Paste Text as List and Import .txt files. Each new line creates a new topic, leading tabs are interpreted as hierarchy level. “Enable Snap Options” check added to Snap Options. Snap to guide lines and snap to grid are only active when this option is checked. Pressing the Ctrl-key while dragging a topic, temporarily inverts this option. This allows easy enabling/disabling the snap feature in specific cases. New command “Toggle Enable Snap Options”, Ctrl+G, inverts this option without opening the Options Panel. Improved unhide marker position, improved arrow positions for unhide markers. Option “Display Hide tool for topics” shows hide tool for topic and moves collapse tool and collapse markers to opposite side (see image above). Performance improvement for dashed lines in low zoom factors. Auto Layout added: Horizontal, Vertical, List, Top Down. 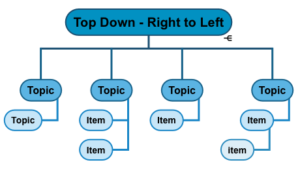 Use drag-drop to rearrange Topic order in auto layout modes. Multiple Selection support for all relevant commands. 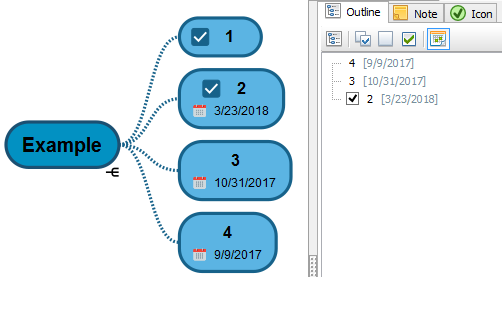 Main window shows current mind map name in caption. Link to specific page in a local .pdf file. 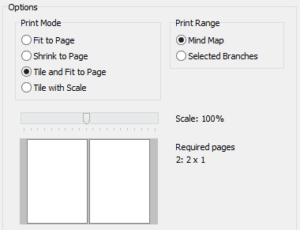 Editor Scale Factor, allows scaling editor rather than adjusting font sizes.